It’s always a wonderful thing to have a sporting weekend with great expectation. When the outcome of the results have a huge impact on the big picture. This past weekend, I went into it with a lot to look forward to and with a lot at stake. Starting locally in my own golf arena, we had the Singleton Matchplay Challenge season 3 round 4. My good buddies and the favourites of the press, KK & Soba, were up against 2 lady friends of mine in Wendy & Doreen. For me, whichever pair won was going to bring joy. A win for the gents would have us congratulate them and party like a problem. If you know those two gentlemen, you will know they really can party! Singleton puts on a great show at the 19th and as usual we did it! Winner or loser, golf really ends at the 18th. As we were busy playing our own golf, Tiger Woods was busy making a move at The Masters. He played himself into a tie for 2nd and a place in the last group for Sunday. All my hopes were with him. If I were a betting man, I would have emptied whatever savings I had and place a bet on him. There were a few of my friends who kept warning that Molinari doesn’t give away an opportunity like this so he was some sort of favourite. On to F1, where my man Lewis Hamilton started at P2 after Bottas had pipped him to pole position. Hamilton started best of all and was in the lead by the first corner. He controlled the race from that point on and in the end won comfortably in China. It was the 1000th F1 race and his 75th career victory. And……it propelled him to the top of the F1 standings for this season. My smile had started forming. This season, for all who follow the English Premier League, Liverpool has its best chance ever to win the title. We had reached that point where we were hosting Chelsea, the same game that damaged our title hopes the last time we were close, and Man City had beaten Crystal Palace (as they had done back then) by the same margin they had all those years back. The only result that would keep our hopes alive was a win. And boy what a win it was!!! After a first half where we came so close through Mo Salah and also nearly went down through Willian, we had to come out strong in the second half. The boys were fired up. We played some serious football and broke the deadlock in the 51st minute. Just 6 minutes after the restart. You could feel the relief in the stadium. No sooner had we taken the lead than Mo Salah came up with a screamer. I can still hear the commentator shouting in my ear. 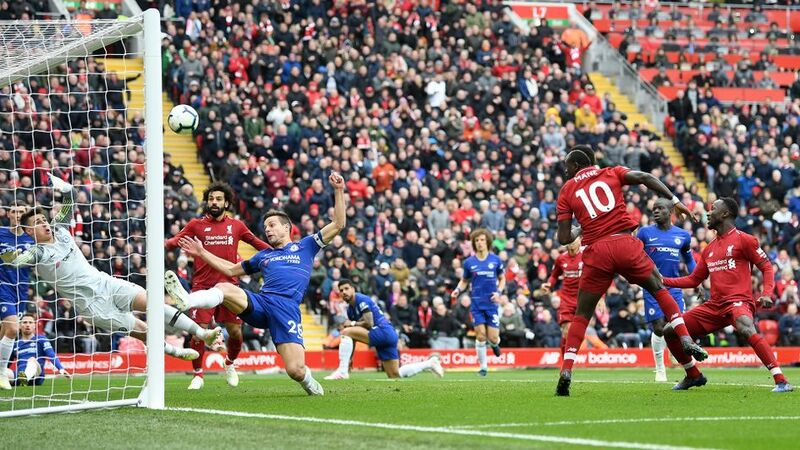 Although Eden Hazard came close twice, hitting the post on one occasion and producing a save from Alisson on another, we were able to hold on. Liverpool 2 Chelsea 0. The hope is still alive! The icing on the cake…….Tiger Woods. Tiger had been written off by many. After all he had gone through, it’s hard to blame those who had written him off. For a long time, he didn’t show us the Tiger we wanted to see. Many lost hope and even publicly declared that he was finished and should stop embarrassing himself. They said he should just retire. Yet many of us kept the faith. We never lost hope. We held on to a dream and we were rewarded yesterday. The first true signs that it was truly possible was at the end of last year when he won his 80th PGA Tour title. It was then that those who had some hint of doubt, resurrected their hope in his abilities. By the time he stood on the 18th to make his final putt and win The Masters, I think I was happier than he was. 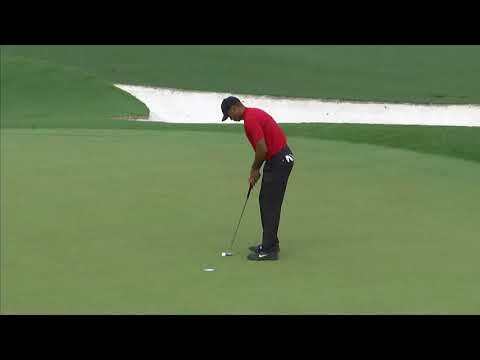 Tiger prepares to make his final putt. Tiger Woods, a major champion again! A scene we were used to many years ago. This was a great sporting weekend!